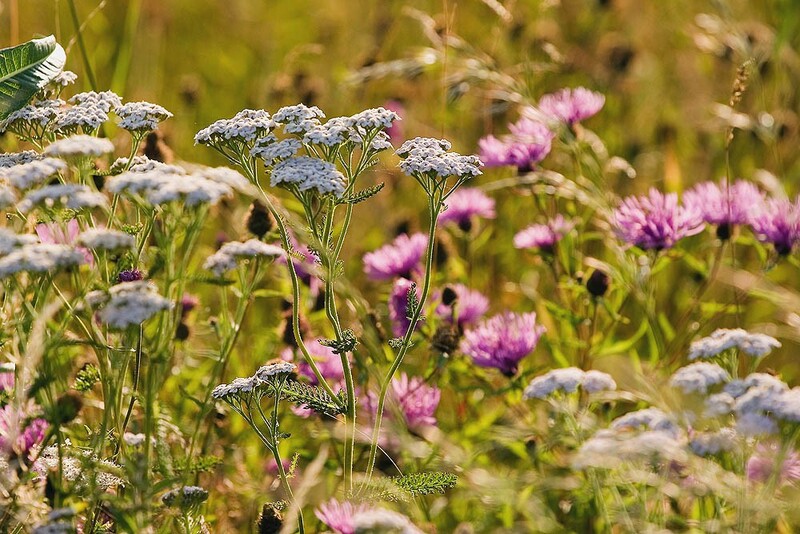 This mixture contains wild flowers that, once established, can cope with competition from taller tussocky vegetation. Well established tussocky grassland is usually dominated by tall competitve grasses: the opportunities for wild flower seeds to establish may be limited. 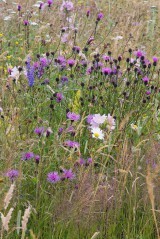 Ideally sow in the autumn using a 100% wild flower mixture. Bulk up the seed with an inert carrier such as sand to make distribution easier. In the first season after sowing mow or graze as needed to control lush regrowth. After the first year the area can be left uncut or ungrazed and it will become rough and "tussocky" in character. Unwanted perennial weeds (docks, thistles) may need control by occasional spot treatment with a herbicide. To control scrub and bramble development tussocky areas may need cutting every 2-3 years between October and February or occasionally lightly grazed by hardy sheep or goats. EM10F is a mixture containing 100% native wild flowers. 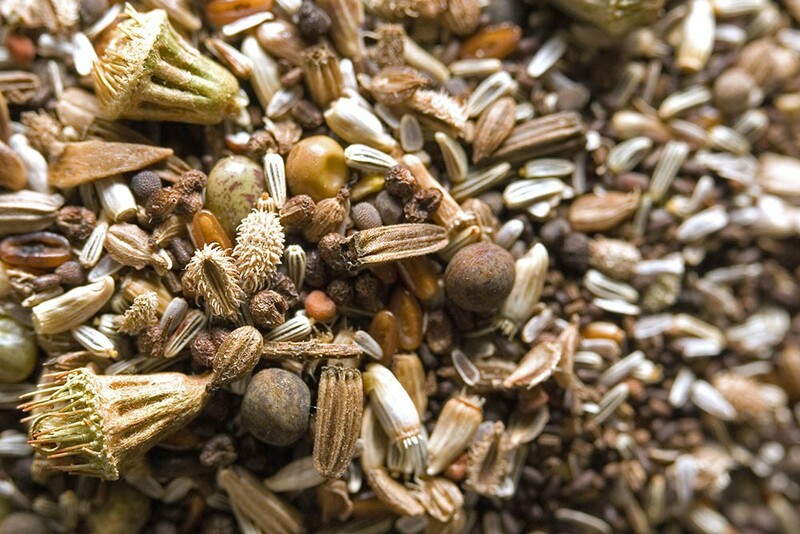 for sowing alone or combining with a suitable grass seed mix. 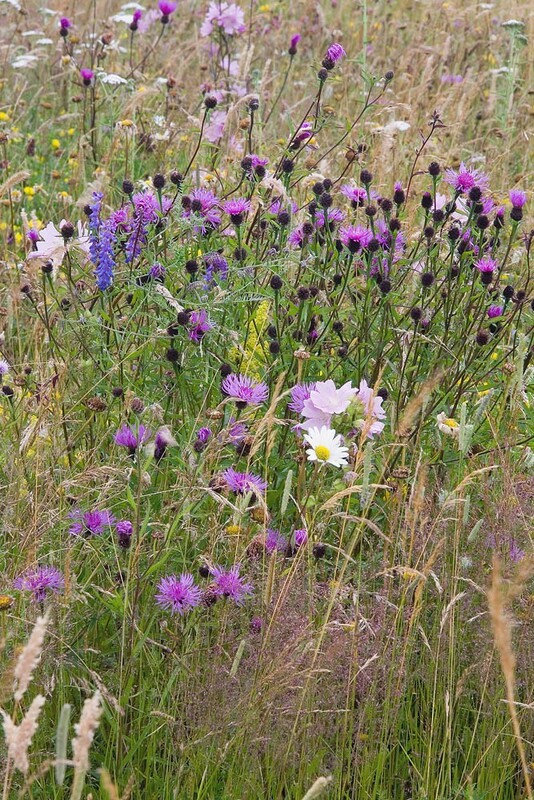 EG10 is the grass mix we recommend for sowing with these flowers. EM10F and EG10 are available premixed as a complete mixture EM10.